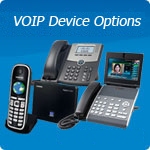 Make sure you never need a new phone system again with our Managed IP-PBX or Hosted VOIP Server and Telephony Services. 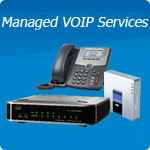 Managed / Hosted VOIP is an online IP-PBX phone service, delivering the features and capabilities of a traditional PBX telephone system without the need to buy or maintain expensive PBX equipment. With Microsharp's Small Office Phone System, small businesses can now afford to look ‘bigger’. The Small Office service delivers a feature-rich VoIP phone service especially tailored to meet the needs of small businesses, which is an affordable alternative to traditional telecommunications providers. All you need is an ADSL2+ or higher speed internet connection either with MyNetFone or any other provider. At Microsharp, we are committed to delivering the highest quality of service for our customers. In line with this commitment, we have employed Business Service Level Agreements (SLAs). As a business-grade VOIP service provider, you can rest assured that you will always receive timely and efficient support from MyNetFone.